After working for a number of years as a development chemist and a software engineer in the medical instrumentation field, and serving as a youth soccer coach for a dozen years, I made a transition to the education field. I am certified to teach middle school and high school math, and high school chemistry and physics in Massachusetts, and have taught chemistry, including AP Chemistry, and physics for five years. I have also been successfully tutoring high school and college students in chemistry, physics, computer programming, and topics in mathematics from pre-algebra to statistics and advanced calculus, as well as SSAT, SAT, and ACT test preparation for over ten years. I can help you, too. References are available upon request. Rate details: Group-rate discounts will be given. Maximum group size desired is five students. My C++ programming experience, which has been built on both assembly language and C, includes embedded systems and Windows applications. I have developed real-time embedded applications for biomedical instrumentation, and multi-threaded GUI applications for Windows computers. I also have developed applications in other languages, such as Java, Python and Perl, and have used this experience to help other programmers understand the philosophical differences between and the relative strengths and weaknesses of the various C++ programming constructs available for solving different problems. I have been programming computers, from 8-bit embedded processors to desktop systems, for thirty years. I have programmed in a wide variety of languages, including assembly language. I have studied the role of compilers and linkers (which are now usually hidden from the programmer within the development environment) and the effect that they can have on the machine-language code that the processor actually executes. I have been programming for over thirty years, and in Python and Visual Python for about ten years. I have written Physics and Chemistry simulations, and Internet server and client applications for use in the classroom. Calculus, and the concepts of limits and "neighborhoods", can be very confusing to students, who until this point in their math education have only dealt with, and only had to deal with, concrete absolute values. Now they must make a "leap of faith", and accept the idea of "so close as to not make a difference, and yet not actually be equal to". In other words, whereas their previous math experiences could be linked to physical and natural concepts, they are now being asked to move into the realm of mathematics as a philosophical science. This can be very difficult. By showing them that a link back to their previous way of understanding mathematics still exists, I can often get my students to comprehend calculus, and the role that it can play in the other sciences, and in our daily lives. I have found that one of the major issues that chemistry students have is the fact that they cannot see, feel, hear, touch or taste an atom, and yet they are asked to take on faith that "this is what an atom looks like, and this is how and why a substance reacts with other substances." I find that by acknowledging the student's apprehension I am better able to break through the barrier to their developing an understanding of chemistry, of chemical properties, and how we can use that understanding to our advantage. I have found that one of the major stumbling blocks to a student's understanding and acceptance of physics and the universality of the physical laws has to do with how we learn new things. We develop our understanding of new experiences by first comparing and contrasting them with our previous experiences. Because our previous experiences have often been centered around and focused on ourselves, we try to understand physical events with the same point of view. However, in order to see the interconnectedness of physics, we need to divorce our point of view from ourselves, and look at physical events from an external point of view. This can be very difficult for some students. I try very hard to help my students make this transition, and I find that when they are able to do this, physics often becomes very simple to them (excluding the mathematics, of course). I have found that we tend to gain new knowledge by comparing and contrasting our new experiences with our previous knowledge and understanding. By showing my students how their pre-algebra and algebra is often merely a retelling and/or reshowing of the math that they have had all through their schooling so far, I have found that they can often open up to allowing the understanding to come to them. Sometimes they are even able to make connections on their own and advance into the next topics in mathematics without waiting for me (or the teacher) to guide them. I have found that we tend to gain new knowledge by comparing and contrasting our new experiences with our previous knowledge and understanding. By showing my students how the pre calculus and advanced algebra is often merely a retelling and/or reshowing of the math that they have had all through their schooling so far, I have found that they can often open up to allowing the understanding to come to them. While they often ask "Why do I have to learn this new approach? ", I can explain to them the advantages of knowing more than one approach to solving a problem. Physical science is often a student's explicit or overt introduction to science, and the student can often be apprehensive about delving into this "new realm" of learning. By showing the student that she/he has actually made use of the scientific process many times in the past, I can often break through this barrier to understanding the process, and how it can be applied to the student's current and future explorations into science. The ISEE, or Independent School Entrance Exam, is a test just under 3 hours in length that covers verbal and quantitative reasoning skills, reading comprehension and math achievement for students entering the 5th through 12th grades. Because of this wide range of grades, there are 3 levels of tests: Lower, for grades 5 and 6, Middle, for grades 7 and 8, and Upper, for grades 9 through 12. Because your child's results are scored and compared only with others entering the same grade, your child should not worry about encountering material he or she has not covered before in his or her classes. I was stuck on a particular problem, but Christopher made sure I got all the necessary knowledge to complete the program. He is very patient and is willing to go above and beyond to make sure your work gets complete. Christopher was able to help better explain the core concepts for the current topics in my class and from there, the homework no longer confused me. I was able to get my homework done in record time, rather than spending an entire weekend struggling through it. I can actually spend a weekend day or two with my wife and newborn daughter thanks to his help! Christopher tutored my son in Computer Science. He had knowledge of the material, was patient, and my son thought the session was very helpful. This was my son first meeting with Christopher and my son was impressed with his knowledge and his patience in going over the each problems with clarity. His input was very helpful and honest. Our son was happy that Christopher was impressed by the way he approach solving a problem. Much respect. Christopher helped me with my PreCalculus. He was extremely helpful and showed me tips and tricks that my teacher didn't show my class. He helped me get a grasp on the subject and simplified it to a point where I felt comfortable doing some problems completely on my own. Chris is incredibly knowledgeable and it is amazing how he can teach difficult concepts in an interesting and fun way. Thanks to Chris,he helped my son through a college course that my son had started with a D and finished with an A-. He is the only tutor I know who is willing to prepare himself specifically for what you need; it is like he takes the course with you. Chris was a great tutor who is very knowledgeable on the areas of programming languages and computers. He helped me with all the questions I needed help with and helped me figure out how to write 2 programs I was struggling on. However, he often gave me too much information which digressed from the main idea at hand which made the task longer than necessary. Overall I think Chris did a thorough job but could have focused mainly about the problems I had so that we could figure out in the most efficient and complete way how to solve the problem. Top Notch! Reliable, patient and extremely intelligent. Christopher has helped me so much in my second term of AP Chemistry. Working with him only for an hour every other week brought my average up nearly 10 points from first term! He is unbelievably patient and is happy to explain things in a different way if you do not understand, and he is very positive towards all that he does. He is enthusiastic to work with you, and he will help to make even your least favorite topics more fun and interesting. He mixes his intelligence with being able to understand the difficulties that a student faces. He will work through every homework problem during your session and never fails to answer an emergency phone call for help. Speaking of phone calls, he communicates great through phone and email. If you are looking for a tutor in science and/or math, Chris is the only person I would recommend! 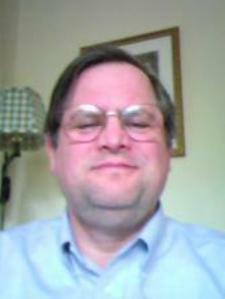 Christopher is a very good tutor and provided critical support in my daughter's Subject Chemistry preparation. As a result, my daughter was able to get 800 on the test. We are very happy with his work!